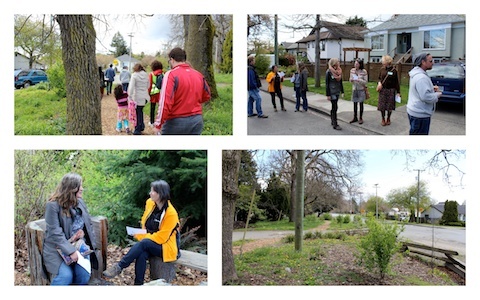 While walking shoulder to shoulder we are able to slow down and notice different nooks and green spaces, hear different perspectives, and learn about how shared green spaces impact the community. 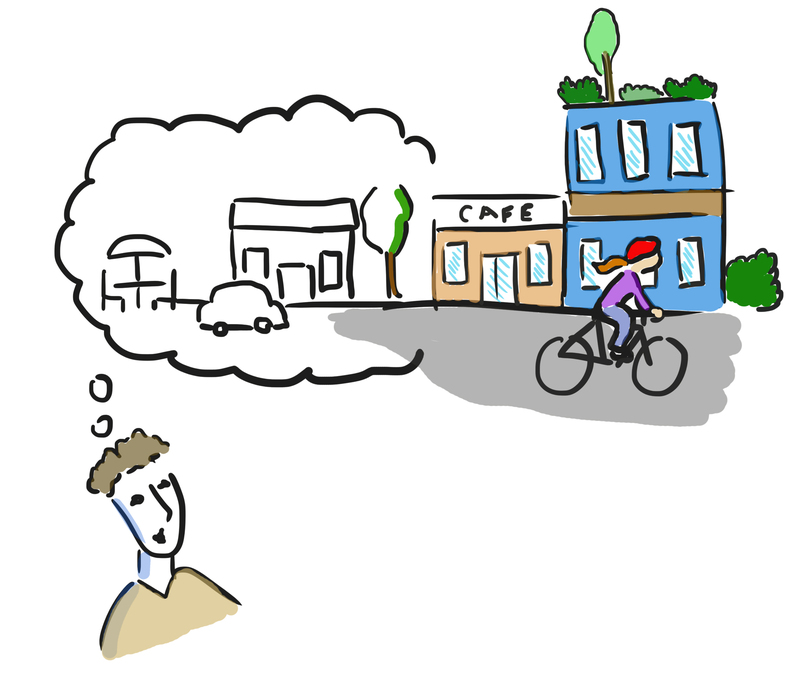 1- Health & Well-Being: green spaces can be for exercise or alternative transport/trails, as well as aesthetic enjoyment. 3- Recreation: green spaces as public playgrounds, parks, and sports fields. 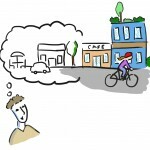 4- Ecology: the role green spaces play in water management, habitat conservation, and biodiversity. This can include agriculture and/or gardening. As we explored Oakland’s diverse green spaces together, we paused and reflected on the nature of public versus private space and how the lines can be blurred. Our ideas, reflections, and favourite nooks where captured by the talented graphic recorder Tanya Gadsby. 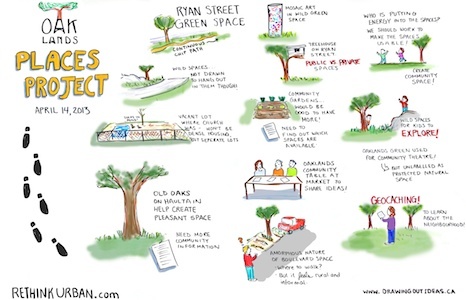 Graphic recording of the Oaklands walk by Tanya Gadsby of Drawing Out Ideas. 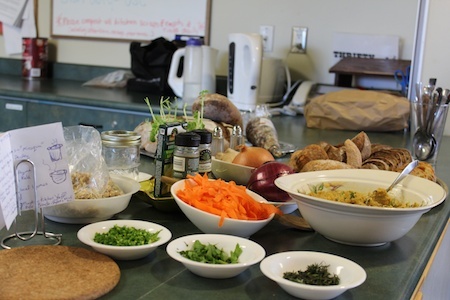 A big Thank You to our Stone Soup volunteers who cooked a beautiful meal using our vegetable donations for us to share in after the walk. Good conversation over good food prepared by Stone Soup volunteers. Check-out our MeetUp for our next urban space discovery walk which will run as part of Jane’s Walk.